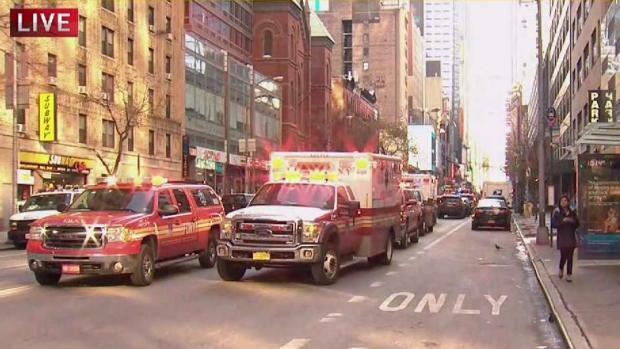 The suspect in the explosion near Port Authority terminal in midtown Manhattan is a 27-year-old Bangladeshi electrician and ex-cabbie living in Brooklyn who was apparently inspired by ISIS-style Christmas threats, authorities say. In a news briefing Monday morning, NYPD Commissioner James O'Neill identified the suspect as Akayed Ullah. Sources say he was the only one person believed to have been involved. "At this point in time, all we know of is one individual, thank God he was unsuccessful in his aims," Mayor Bill de Blasio said. Ullah's explosive, which he fixed to himself with Velcro and zip ties, was based on a pipe bomb, according to Deputy Commissioner John Miller. Ullah allegedly said he intended for it to be a suicide bombing and that he watched Internet ISIS propaganda, read extremist writings and learned how to make bombs through online tutorials, according to two law enforcement officials. Sources have said it didn't appear Ullah had direct contact with the terror group. Police descended on the Flatlands neighborhood of Brooklyn after a man who lived in the neighborhood allegedly set off an explosive device in a subway tunnel between Times Square and the Port Authority Bus Terminal. Pei-Sze Cheng reports. Fire officials said the suspect had burns to his hands and abdomen. Five others who were injured suffered ringing in ears and headache and were all released from the hospital on Monday night. He was taken to Bellevue Hospital, officials said. The blast went off in a tunnel between the Times Square station and Port Authority, the nation's busiest bus terminal, around 7:20 a.m., according to law enforcement officials. When questioned, Ullah allegedly told investigators he intentionally detonated the device in that passageway because he noticed a holiday picture in the corridor and, angry over U.S. bombings in ISIS controlled territory, was inspired by ISIS-style Christmas threats, according to two law enforcement officials. He'd purchased the materials himself, and found the pipe at a construction job site where he was working as an electrician, at a commercial building on 39th Street and Eighth Avenue, law enforcement officials said. He built it himself at his home on Ocean Parkway in Brooklyn. 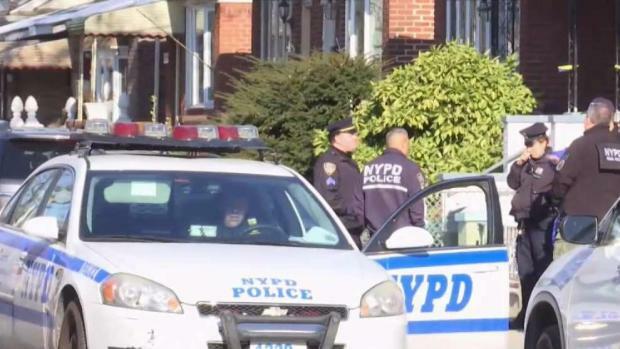 Police and FBI were conducting searches at multiple Brooklyn addresses connected to Ullah. On East 84th Street, police were posted outside a house where Ullah is believed to have been living. Meanwhile, three miles away in Kensington, on Ocean Parkway, police have closed off a block as they sought to speak with Ullah's relatives inside an apartment building. One woman was seen being escorted out of the building by police, clutching a baby. NYPD officials have identified the suspect as Akayed Ullah, a 27-year-old man of Bangladeshi descent with a last known address in Brooklyn. Jonathan Dienst reports. Ullah lived with his father, mother and brother in a Brooklyn neighborhood with a large Bangladeshi community, residents said. The family's red, two-story brick home is just off a shopping strip. A neighbor at an old address listed for Ullah, on East Second Street in Windsor Terrace, told News 4 that Ullah's father died awhile ago and he lived there for about a year with his brother, his brother's wife and his mother. It appears they moved out in December of 2016. There's no indication Ullah is married, sources said. The neighbor said the family were "nice people," and devout, going regularly to prayers. There was never any sign of extremism, the neighbor said. A statement on behalf of the family sent by the New York Chapter of the Council on American-Islamic Relations said they were "deeply saddened" by the attack but also "outraged by the way we have been targeted by law enforcement, including a teenage relative of the suspect who was pulled from class and questioned in his school without a parent guardian or attorney." News of Ullah's arrest stunned Alan Butrico, who owns the house next door and a locksmith business two doors down. "It's very weird," Butrico said. "You never know who your neighbors are." 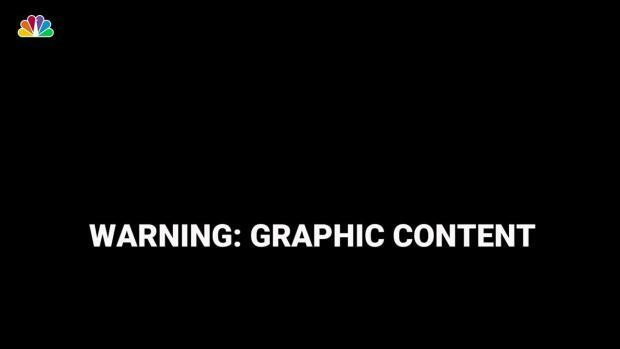 Dramatic security video purports to show the moment a suspected terrorist detonated a device police said he was believed to be wearing at the New York City Port Authority Bus Terminal Monday morning, just feet away from New York commuters. WARNING: Some may find this footage disturbing. Ullah came to the U.S. on an family immigrant visa on Feb. 21, 2011, according to a senior law enforcement official, landing at Kennedy Airport and since obtaining a green card. He made multiple overseas trips from 2012 through 2017, including to Dubai and to Bangladesh recently in the year, according to law enforcement officials. Pei-Sze Cheng contributed to this report.